Everyone keeps musing "is this the bottom?" The other day my husband told me that those financial managers who are usually the most conservative, tell their clients to weather the storm, etc. etc. have told their clients to bail on the market. Supposedly THIS is the sign that we have reached our economy's bottom. Well that may be, but I'll tell you what has proved it to me. 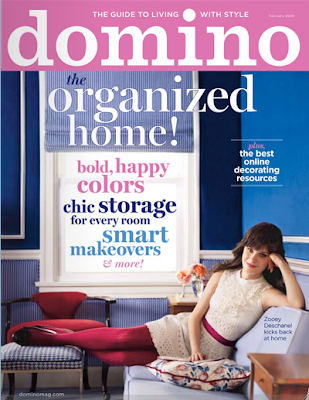 Domino Magazine is shutting its doors. I cannot believe it. Here is the news. 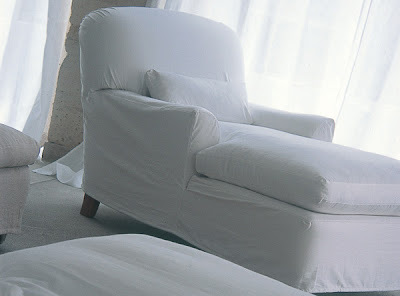 The home design world is now just a snoozefest, with Elle Decor and Traditional Home leading the way (in my opinion). Thank goodness for Donna Hay and Living Etc. I mentioned this lovely resource the other day, but wanted to make an official introduction to the online boutique Rian Rae. The owner, Jeni Crawford, has a sensitive eye for tactile, organic and eclectic pieces - she's like a Bailey's Home and Garden, stateside. Aren't these accessories lovely? I love that everything Jeni chooses has a patina. 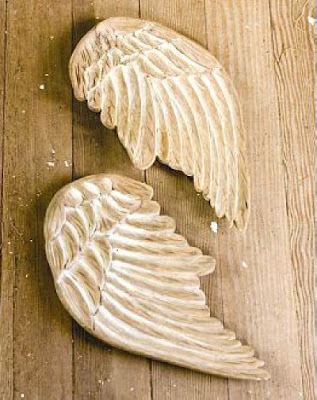 Shown are carved wings and the wonderful metal crown. Perfect for your cocktail table. I appreciate that she really edits collections and just offers you the best. She is a particularly great resource for items by Roost, which is loathe to sell to interior designers it seems (or maybe it's just me when they found out I used to work for Pottery Barn). 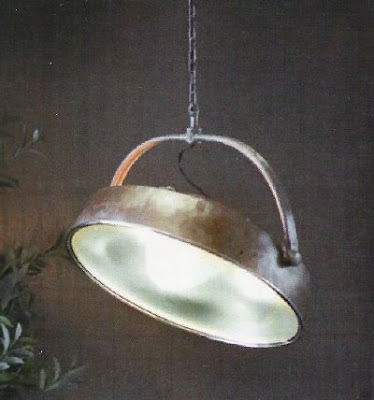 This fabulous hanging pendant would look terrific in a modern kitchen or foyer. 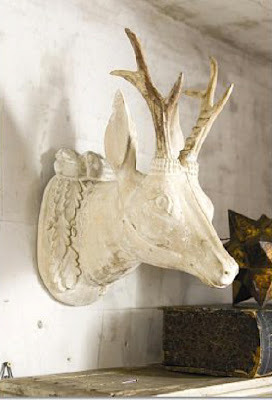 And I've had my eye on this stag head for ages... Jeni has it whitewashed by a craftsman. It's gorgeous. Jeni works with designers so take note! I LOVE antiquing. I love it so so so so much. So I was thrilled when I got an email from 1stdibs.com announcing their Saturday Sales, "join us... as we re-imagine the tradition of weekend yard and barn sales." Now 1stdibs is the BIGGEST rip-off going. Seriously. I think that the dealers are actually delusional. There are some nice pieces, but I honestly think the dealers are egging each other on, putting a price on something to see if some idiot will actually buy it. And I am a well traveled antiques aficionado, toted around since infancy with a mother who poked in them all, all over the country and beyond, so I feel confident in knowing what is a fair price. If something is fabulous, unique, beautiful quality, it deserves a high price. However many of these dealers are actually offering new pieces as antiques, so buyer beware! My favorite culprit of this is Liza Sherman Antiques. Now Ms. Sherman has a lovely eye and cleverly merchandises her shop. Clearly she is very impressed with "the power of the object trouvé..." and herself, for that matter, if she thinks an object trouvé is found at a Merchandise Mart. 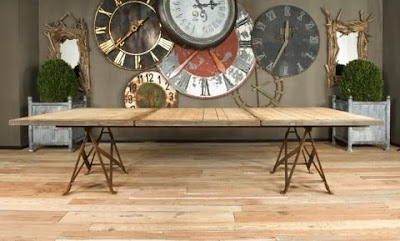 Take her Belgian Bricklayer Table, for instance, supposedly from the 1950s and without a price (read: expensive). 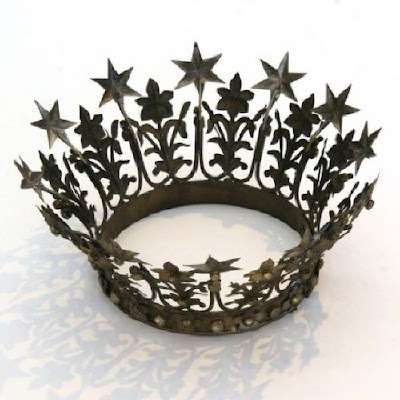 ANY designer knows this is courtesy of one of my favorite dealers, Bobo Intriguing Objects. Or any of the pieces she has selected from Sausalito-based company, Roost. 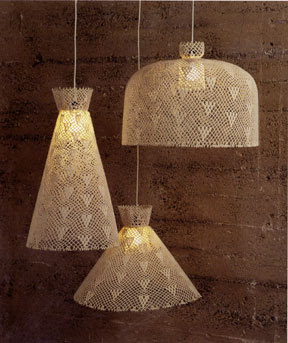 You can buy one of these delightful crocheted lamps from Ms. Sherman for $1200, or you can patronize one of my favorite vendors, Rian Rae (one of the nicest, most accommodating dealers you'll ever meet), for $224. Many of her pieces are from another craftsman and industrial design maven, Jason Wein of Cleveland Art. The lighting she showcases is cleverly masked as vintage/antique by saying that it is "20th c" and the condition is "good." 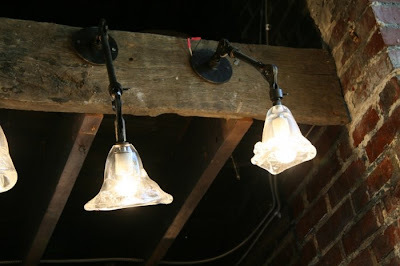 These are hand-blown, organic, tactile and beautiful light fixtures. There is no "good" to the condition - they're brand new. I met these guys this summer at Brimfield and they are a) talented and b) super nice. Take a look at their inventory - their pricing is also reasonable for the well-edited selection. Love the rolling cart as a coffee table, and the oak display cabinet for my ironstone. Head to a REAL flea market - and save yourself about $2500.